Providing the proper dehumidification system for a therapy pool room can mean the difference between a successful therapy space and a mold-ridden, unwelcoming environment. Achieving and maintaining perfect humidity levels plays a pivotal role in keeping therapy customers happy. 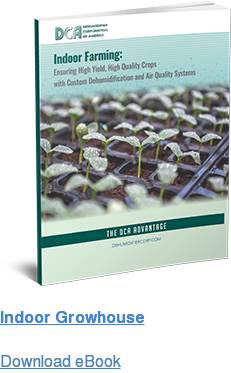 DCA is the leading supplier of custom-engineered therapy pool room dehumidification systems. 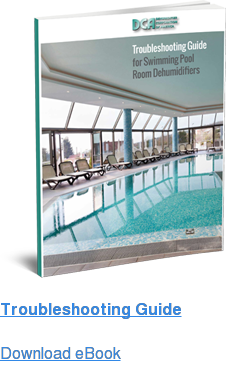 Therapy pool rooms require different dehumidification systems than the ones we provide for swimming pool rooms, though it would seem they’d equally benefit from the same type. Higher temperatures: Therapy pools typically operate at much higher water temperatures than swimming pools, sometimes over 95° F and rooms are kept around 85° F or higher. Allowing additional humidity in these settings can make for uncomfortable, uninviting rooms. Water jets: Therapy pools may incorporate water jets, as in a spa or whirlpool, which greatly increases water evaporation from the pool into the room. Smaller spaces: Therapy pools are often in much smaller rooms than swimming pools, posing additional problems such as a very high moisture load in a relatively small space. Low CFM dehumidifiers are needed here to control air changes through the dehumidifier to acceptable levels. Worker requirements: The air in a therapy pool room can quickly approach sauna-like conditions using the standard temperature increase of 2 to 4° F above the water temperature. This standard is kept to minimize evaporation. As moisture rises, in these already-warm conditions, physical therapists can find it difficult to assist patients. Normally, a room temperature of no more than 85° F is the standard for workers. These common therapy pool room conditions can cause a typical swimming pool dehumidifier to underperform, which in turn leads to a short service life. Selecting the correct dehumidification system immediately prevents unnecessary wear on the equipment, extending dehumidifier life and cutting down on maintenance. In addition, if the pool is in a heavily windowed space, it is especially important to provide the right air distribution system to prevent condensation buildup―just like with any walls. In this case, you will not only prevent mold and mildew growth, but also avoid blocking out the room’s views with moisture buildup. 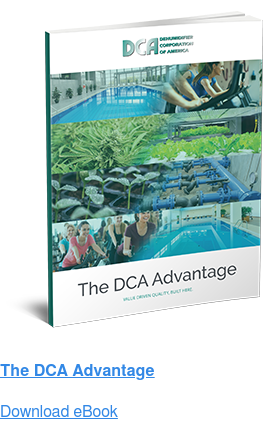 DCA understands the different dehumidification demands for therapy pool rooms compared to a standard pool room. We specialize in dehumidifiers with high moisture removal capacity and low CFM that are specially designed for this application, among others. For example, we engineer our systems to limit dehumidifier CFM so therapy pool room air changes through the dehumidifier are between six and ten air changes per hour. Each Dehumidifier Corporation of America dehumidification system is available in a water-cooled version using sources like cooling towers, geothermal energy, chillers, city water and processed water. Ask one of our experts about these options and how to best integrate them with your systems today!